On November 8, 2016, something beyond expectations will take place on this planet earth, the good will take the power from the bad and evil. Nigerian will face the eminent counsel of Mazi OHAMADIKE Nnamdi Kanu, the director of Radio Biafra/Biafra TV, the man that see the future of his people Biafrans, this same man predicted the mess Nigeria is in today. He told world that if Nigeria refuses to give us Biafra, Nigeria will be a hell and Somalia will be a Paradise compared to Nigeria. He also predicted on Radio Biafra that a toilet paper in America will worth more than the Nigerian currency- naira. All these are all taking place now, which is why many call him a prophet. He was arrested and unlawfully detained by Nigeria DSS, he was granted bail twice by Nigerian courts but the orders were flagrantly disobeyed by the Nigerian government. Mazi Nnamdi Kanu's human rights have so much been trampled upon. This triggered the suit filed by his legal team against Nigerian government at ECOWAS court. The case was heard on October 6, but later adjourned to November 8 because of the absence of legal team of Nigerian government. I believed that, November 8, was planned by God, because this same day Americans are deciding their next president through the ballot box. It is also a fight between good and evil. Trump was ordained by God to liberate America from the mess Obama administration brought to America. On this day November 8 the evil Nigeria will face the child of God, Mazi Nnamdi Kanu who represents truth and light in Africa. 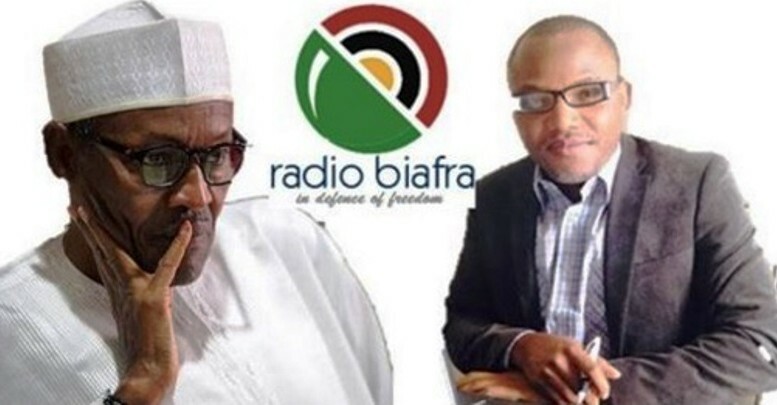 This is a fight believed to determine the future of the world, because if Trump and Mazi Nnamdi Kanu win, together they will save the world from pending doom of islamization that Obama and Hillary with their Arab counterparts are pushing for. We the Biafrans must all stand for what is right.